The study of causal connection by spatial analysis follows these stages: (i) it identifies 5° x 5° latitude/longitude cells across the globe which exhibit significant warming, warming, cooling, and significant cooling; (ii) it identifies 5° x 5° cells of significant observed changes in natural systems that are consistent with warming and that are not consistent with warming; and (iii) it statistically determines the degree of spatial agreement between the two sets of cells. 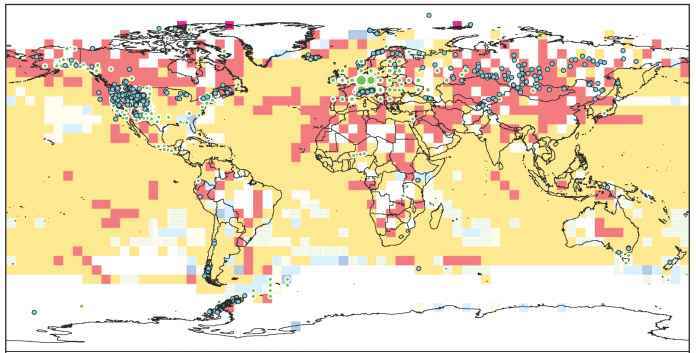 In this assessment, the conclusion is that the spatial agreement is significant at the 1% level and is very unlikely to be solely due to natural variability of climate or of the natural systems. Taken together with evidence of significant anthropogenic warming over the past 50 years averaged over each continent except Antarctica [WGI AR42 SPM], this shows a discernible human influence on changes in many natural systems [1.4.2.3]. 1 Plotted are the frequencies of the correlation coefficients (associations) between the timing of changes in traits (e.g., earlier egg-laying) of 145 species and modelled (HadCM3) spring temperatures for the grid-boxes in which each species was examined. (Continues at bottom of previous page). 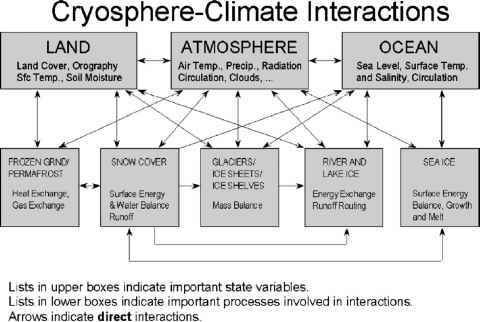 2 IPCC, 2007: Climate Change 2007: The Physical Science Basis. Contribution of Working Group I to the Fourth Assessment Report of the Intergovernmental Panel on Climate Change, S. Solomon, D. Qin, M. Manning, Z. Chen, M. Marquis, K.B. Averyt, M. Tignor and H.L. Miller, Eds., Cambridge University Press, Cambridge, 996 pp.